As much as we’d like to think that we all survive through a zombie apocalypse unscathed (and who knows, maybe we will) at some point, somewhere after the fall of civilization, we’re going to need some medical care. If you’re organizing a team to survive the apocalypse ahead of time Prepper-style, it’s in your best interest to include a doctor and maybe a nurse or two in the group. Physician’s assistants (or PA’s) are great to have as members of your team as well. When you add medical professional to your team in advance they will be able to proceed with medical preparations that are not feasible to civilians. They’ll have the ability to legally and appropriately acquire and store prescription levels of antibiotics, IV’s, sedatives and medical supplies that may save your life in the future. They’ll also be able to administer medical aid to the rest of the survivors and for this reason should be considered a high priority on your list of people to get on your team. Unfortunately, not all plans work out the way they’re supposed to. Maybe the medical portion of your team is stuck on the other side of the city when the outbreak happens and you have to leave without them. Or maybe they become infected and are no good for anything. This is why we have backup plans in place. There are some great wilderness survival books that will help you to render medical aid to the best of your ability. “The Big Book of Self Reliant Living” will help walk you through how to conduct numerous basic and advanced medical procedures (as well as just about anything else you need to know-GET THIS BOOK). Another pair of recommended titles are- “NOLS First Responder” and “NOLS Wilderness Medicine”, these will help you to identify and treat some of the most common field injuries and ailments. If the Docs missed the boat out of town, you’re going to need more than the books that talk about treatments; you’re going to need the supplies to carry those procedures out to the best of your ability. 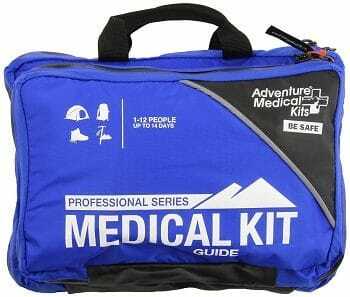 For a civilian, the best kit you can probably find is going to be the Adventure Medical Kits Guide Kit. This kit has everything you’ll need to deal with events ranging from minor to major field traumas. This kit is incredibly thorough, but remember that it is ideally just an emergency back up to a more robust kit that has been procured by a medical professional in your team. With that being said each team member would do well to have one of these as part of their personal escape stash; with the best case scenario being all of the supplies are added together with the medical professionals kit and a worst case scenario of everyone at least having enough of a kit to care for themselves. Now lets say your medical team does make the great escape with you, and you’ve successfully reached your refuge away from the outbreak. Many of the medicines they bring with them are heat sensitive and also expire over time. You’re going to need a long-term plan for when those medicines run out. 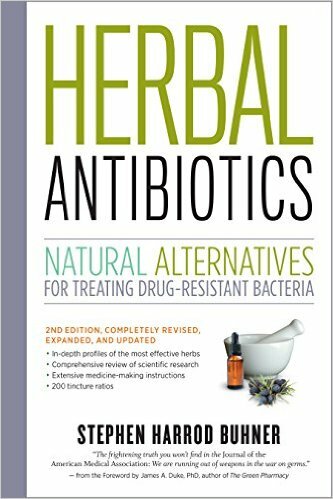 We recommend “Herbal Antibiotics 2nd edition” (it’s much more in-depth than the 1st edition) it will help you to prepare for a lot of eventualities by obtaining the seeds needed to grow your remedies in the field as part of your preparations. 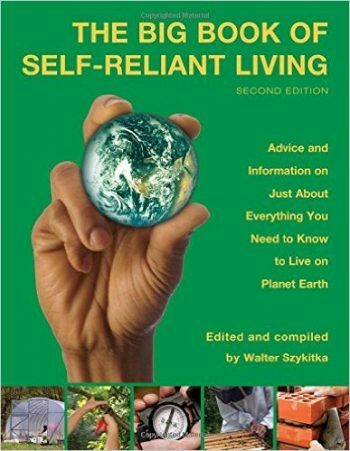 I’d like to mention “The Big Book of Self Reliant Living” again at this point because it will help you to know how and when to plant your herbal remedies for maximum yields. So there you have it folks: some good and bad scenarios to think about and some great materials to help you to survive either way. Think about what you’ll need in the long run from any perspective and then try and plan for every possible contingency.Like we’ve said before, failing to plan is planning to fail. Make a plan. Stay alive.